The South Ridge Panthers are making their first ever trip to the Class A State Tournament after edging the Carlton Bulldogs out twice, 5-4 and 3-1. In game one, the Panthers capitalized on Bulldog errors, scoring four runs in the first inning to take control. The Bulldogs would make a late push, but it wouldn’t be enough as the Panthers held on 5-4. Riley Kinsley got the win for the Panthers in game one, pitching 6.1 innings, allowing four runs on eight hits, while striking out six batters. Ryan Gray got the loss for the Bulldogs, pitching a complete game, allowing two earned runs on six hits. In game two, the Panthers got out to a fast start, scoring all of their runs in the first inning. The Bulldogs tried to make a late surge again, but couldn’t capitalize, as the Panthers held onto the 3-1 win. Mason Lane got the win in the second game, pitching a complete game. He allowed one run on six hits, striking out ten batters. Kristian Herman received the loss for the Bulldogs, pitching a complete game, allowing three runs on six hits. The South Ridge Panthers improved to 19-5 on the season. 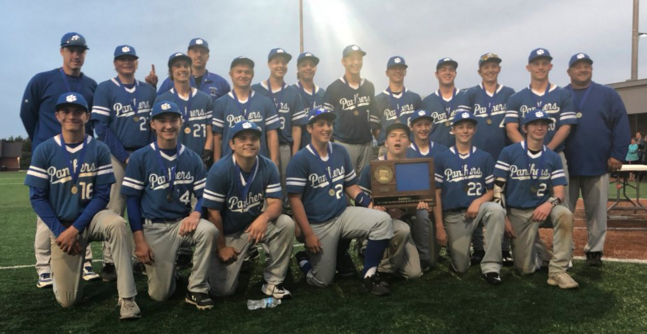 They received the third seed in the Class A tournament and will face the Rushford-Peterson Trojans (15-8) on Thursday, June 14th. The Bulldogs end their season as the Section 7A runners-up with an 11-13 record.